Virtual hosting is the technique of hosting multiple websites on one server. Virtual hosting enables efficient utilization of computing resources because the multiple websites share the computing resources of the host server. Apache is one of the most web servers in the world, and it provides a mechanism for enabling virtual hosting on a web server. Virtual hosting works by creating a directory for each domain/website and then redirecting visitors of a domain to that site’s specific directory. The whole process is handled transparently by Apache, and the user is not aware that the server is hosting other websites. Apache virtual hosting is very scalable and can be expanded to handle a large number of sites. This guide demonstrates how to implement virtual hosting for two domains, www.globo.tech and support.globo.tech, on a single server. The two domains can be substituted for any domain that you may use. You have now setup virtual hosting, and you can use your single server to serve two websites. You can experiment further by adding more sites to your server. If this walkthrough has assisted you, do not hesitate to share with other people. Using OpenVPN allows you to securely and safely access the internet, especially when you’re connected to a public or untrusted network. OpenVPN is a solution that will enable you to create a wide array of network configurations; the configurations allow customized private network solutions that can meet a variety of needs. OpenVPN is an open-source software that employs Secure Socket Layer (SSL) protocols for additional security. OpenVPN allows authentication through pre-shared secret keys, certificates, or a username and password combination. Through this authentication, secure point-to-point connections are established with high-level encryption protocols. When you decide to install and update OpenVPN on Ubuntu 16.04, you will first need a node running Linux Ubuntu 16.04 LTS; the node you choose can be on a cloud server or a dedicated server. It’s important to verify that your operating system is running the most recent version, including any updates or patches that may need to be installed. At this point you will receive a set of prompts, you may type Enter at each prompt. Make sure to accept the default entry during the build. There are two options for building a certificate here, once that generates a password and one that does not create a password. Congratulations, you’ve successfully installed and updated OpenVPN on your node running Ubuntu 16.04 LTS. You’re now ready to run your OpenVPN instance and begin securely connecting and transmitting data over a variety of networks; make sure to update OpenVPN as needed or when critical updates are pushed. If you found this guide helpful, please share it with other users engaging in similar setups. Heartbeat and DRBD can be used effectively to maintain high availability for MySQL databases on Ubuntu 16.04. Heartbeat is a network-oriented tool for maintaining high availability and managing failover. With heartbeat, you can make sure that a shared IP address, is active on one and only one server at a time in your cluster. DRBD (Distributed Replicated Block Device) synchronizes data between two nodes by writing the data to the primary server first and then writing to the secondary server. When used to provide high availability for MySQL databases, heartbeat and DRBD allow for a seamless transition from the primary to the secondary server when the primary server fails. This guide will take you through the steps necessary to create and initiate such a setup. Throughout the tutorial, ALL commands must be done on both servers unless otherwise specified. You will need to assign public and private IP addresses to the servers, a floating IP address through which your MySQL databases will be accessed, and IP addresses for DRBD traffic. In this guide, we assume that the IP range for your public network is 173.209.49.66/29 and the IP range for your private network (LAN) is 10.119.0.0/24. We also assume you have a third network card on both servers with a cross-connect between servers for DRBD traffic. The LAN subnet for this cross-connect presumably covers the IP range 192.168.5.0/24. The networking required for such a setup may be configured in a number of ways. We chose to use the easiest to understand. In the setup described below, the first LAN will be used for floating IP’s and heartbeat while the third network will be reserved for DRBD. We have assigned the following IP addresses to the components we will use in this tutorial. Always makes sure your system is up to date before you install any software. Disable Ubuntu’s firewall (if it is installed) before you assign the above IP addresses. Your network is now set up. Below, we can see that we have a 16GB /dev/sdb drive in our setup. We will use this drive for DRBD. The second drive can easily be partitioned using the simple formula below. This formula will create a single partition that occupies the whole disk. We will now edit the various files used to configure our servers for high availability. Remember to edit the files on both servers in exactly the same way except where we indicate there need to be differences. This file should only contain the two lines below. Use the same password on both nodes. The password is the text immediately after the “sha1” statement. If you get an error message along the following lines, “The file /dev/drbd0 does not exist and no size was specified,” check that your hostnames have been set properly. The above command should yield the below output. In this output, you should see Primary/Secondary. This output indicates that the DB1 node is the master while the other node is the slave. It also shows that everything is syncing as expected. Once you verify that the floating IP is only bound to DB1 with the following command, you are ready to install your MySQL-type database service. Now is the time to install our database service on both servers. There are several variants of MySQL that were created as forks of the original MySQL source code. In the following, we have opted to install MariaDB because of its performance and good track record. Percona DB and MySQL are two other options you might choose. Now we will create a root user for remote management of and access to the databases on the highly available MySQL instance. We will make use of wildcards to do so. Our cluster architecture is set up so that all other servers on our LAN can reach the database at the floating IP 10.119.0.10. If you wish to enable users outside your LAN to access your highly available database you may bind a public IP in /etc/ha.d/haresources for database access as well, following the pattern set above in editing that file. In our case, we have set up our high availability database servers to be accessible from other servers on the LAN that share the IP range 10.119.0.0/24. Once heartbeat is configured we need to restart it on both servers. heartbeat must be started on the primary server (DB1) first. Once heartbeat has started on DB1 allow at least 20 seconds before you restart heartbeat on DB2. The delay between initiating the heartbeat stack on DB1 and DB2 will prevent heartbeat from inadvertently initiating failover to DB2 upon startup. Our goal throughout this tutorial has been to tie together our servers such that MySQL service will not be interrupted if the active server fails. Now that our setup is complete, we will perform a series of tests to verify that heartbeat will actually trigger a transfer from the active server to the passive server when the active server fails in some way. We will also verify that DRBD is properly syncing the data between the two servers. Use the remote access root user to test the MySQL connection directly on the floating (failover) IP and create a test database. Having triggered the failover, we will now test that our setup is fully functional with DB2 acting as the primary server. Use the remote access user to connect to the MySQL instance at the floating (failover) IP. If your setup is working properly, the following commands should enable you to view the test database we created earlier while DB1 was the primary server. Provided your tests yielded the expected results, your high availability MySQL setup should now be fully operational. Congratulations, the high-availability MySQL setup you have created on your Ubuntu 16.04 servers will make your databases more reliable for mission critical functions. This frees you to create content while your users get nearly continuous data access. Ecryptfs is a powerful but simple to use tool for encrypting directories. Perhaps you are keeping sensitive information in your home directory, and wish to secure those files from an attacker who gains access to your server but not your user credentials. Or maybe your database contains sensitive details that you wish to encrypt at rest. With Ecryptfs, it is easy to secure individual directories in a way that they cannot be accessed without a user logging into the account that owns the key. In this guide, we’ll encrypt the contents of a directory on an Ubuntu 16.04 server. • 1 server (Cloud Server or Dedicated Server), running a fresh installation of Ubuntu 16.04. Begin by installing the necessary packages. File encryption is a powerful tool, but its capabilities and limitations need to be understood before it is used for serious tasks. For purposes of illustration, we’ll create a test directory in /home so you can get a sense for how your encrypted filesystem will work. Now we’ll encrypt the contents of the globotech directory we’ve just made. You’ll be prompted to choose a password, and to set an encryption type. With these set, check if the contents of the directory are encrypted. Next we’ll add a file with test content to this directory. Unmount the encrypted globotech directory. With the directory unmounted, try to read the file you’ve just created. You’ll notice that the file is encrypted and the content is inaccessible. Without the password, an attacker cannot gain access to the file you’ve just made. Use the same password to access your files. Please keep this password safe. If it is lost, no one will be able to regain access to your files, not even your service provider. Encryption is a powerful way to protect your files in the event of a compromised server or stolen laptop. Everyone should encrypt their sensitive data, so share this article with anyone who may not know how easy encrypting directories can be. If you found this article helpful, feel free to share it with your friends and let us know in the comments below! Keepalived is a daemon that can be used to drive a number of load balancing processes on Linux Virtual Servers (LVS) to maintain high availability. Load balancers enable two or more identical servers to provide service through a single floating IP address or set of IP addresses. When one or more of the servers is not functioning optimally, keepalived can shift more of the load to those servers that are more healthy. Perhaps the simplest configuration for the keepalived load balancer uses the daemon to maintain high availability by implementing the failover service. During failover, the entire load is shifted from a primary server to a secondary server upon failure of the primary. The present tutorial describes the implementation of such a highly-available load balancer setup based on Ubuntu 16.04 and keepalived. In this tutorial, we will configure the load balancers using a “floating IP” and an active/passive redundancy. For your reference, here are the servers, or load balancers, we’ll be working with, along with their respective public and private IP addresses. Where necessary, remember to replace with the IP addresses for your own servers. The load balancers will make use of a “floating IP”, and we’ll configure active and passive redundancy as well. Your first step when you install any software is to make sure your system is up to date by executing the following commands. The update ensures you will install the most recent (stable) packages available. The upgrade will install the most recent security patches and fixes. Ubuntu’s firewall will have to be re-configured to allow for the configuration changes made to run keepalived. So, once your system has been updated disable Ubuntu’s firewall. With keepalived installed, configure the server so that the daemon activates on boot. You will also need to enable the ipvsadm kernel module, which provides key underlying functionality keepalived uses for load balancing. The “virtual_router_id” needs to be unique for each VRRP instance defined. This ID must also be unique within the VLAN. The same ID should not be used on two clusters using the same physical switch or VLAN. The ID needs to match on both LB1 and LB2 for the same VRRP instance. Valid values are from 0 to 255.
keepalived will be able to track the connections between the servers and re-assign the floating IP addresses between LB1 and LB2 as necessary, depending on which should be active and which should be passive at the time. your configuration should be complete and you can start keepalived. Verify that 173.209.49.70 and 10.119.0.10 are assigned to LB1. The presence of these addresses indicates that LB1 is active and LB2 is passive. Now, if we shut down keepalived on LB1 those IP addresses should appear on the second server. Verify that the floating IP addresses are now assigned to the second node. If so, LB2 is now active. The outwardly visible portion of the configuration has now been verified. Provided all IP addresses show up as expected, keepalived should now work as expected. Keepalived is now installed on your LVS cluster of two servers. Following the basic principles above, you can increase the size of your cluster if you wish to achieve even higher availability. Even with just two servers, your keepalived instance should make major downtime a thing of the past. If you found this article helpful, feel free to share it with your friends and let us know in the comments below! Cassandra is an open-source non-relational database management system. It was designed to be used with lots of redundancy, and it can be split up onto multiple machines so that if one part fails, the other parts continue to with little to no interruption to users. Ubuntu is a great operating system to host on as it won’t bog down the system. Even if the command line scares you at first, It’s not that hard to install. This article will guide you on how to install Apache Cassandra on Ubuntu 16.04 Server LTS. • 1 server (Cloud Server or Dedicated Server) running Ubuntu 16. Gaining root permission is simple and prevents bugs from popping up during installation. Just make sure to exit out of the root when you’re done with setup. First we need to make sure that Java is installed, so add the repository. Repositories are basically groups or lists of programs that are useful together, and adding a repository is the best way to get a program. You may get a warning to use Java 8 instead of 9; don’t worry, continue on. After that’s added, update the list of repositories. Install Java. Answer yes if you get a confirmation for storage and accept the license terms. Installing might take a few moments depending on your computer’s speed. Confirm your version of Java. At the time of writing, the latest stable version is 1.8. “Ma!lLover@Globo.Tech,” it would be “Ma\!lLover@Globo.Tech”. You might also have to replace “@” with “%40”. Also add the repository key to get past the extra layer of security. Update your list a third time and install Casandra the same way as the last two. Start Cassandra up and configure it to your liking. You’ll most likely want to enable it to start on boot. In case of a power outage or maintenance, you won’t forget to start it back up after a reboot. Cassandra uses a separate command line to be controlled, so we need to make sure to activate that. You should now have Java and Cassandra installed and ready to use. Make sure to share this guide with others looking for help. Ark: Survival Evolved is a popular action game that features survival-themed crafting, combat, and most notably, the ability to tame and ride dinosaurs. Ark: Survival of the Fittest is a special game mode with fast-paced rounds in which the last player standing wins. Ark: Survival of the Fittest must be played using specific servers. This guide will walk you through the steps of setting up this server on Ubuntu 16.04 LTS. • 1 server (Cloud Server or Dedicated Server) running a fresh installation of Ubuntu 16. • This server must also have at least 2 vCores and 6GB of ram, which will be suitable for under 10 players. As more players will join your server you are to consider adding more RAM to your server. • All commands will be run as root unless otherwise specified explicitly. A user will be created later for the Steam components. Before beginning the installation process, wake sure your system is up to date. This is also a good time to install the basic dependencies. The first step is to create an user for Steam related content. For security reasons, you won’t want to use root for this. Now it’s time to prepare your system with specific parameters to allow the game server to run. First, increase the amount of simultaneous system files that can be opened. You can do this by editing your sysctl.conf. Append the following changes to your system limits configuration file. Finally, enable the PAM limits module. Now your server is prepared to install Ark: Survival of the Fittest. Now to proceed to the installation of the Ark server software. Wait for the software to be downloaded. Once you see the following, the installation is complete. Now that the server is installed, simply type quit to get out of the steam command line interface. The next step is to configure your newly-installed Ark server. You will need to use the root user for these next commands. Add the following contents into the file, making sure that the ExecStart line corresponds to what you had in the previous file. Start and enable the Ark Survival Server on system boot. You can check your server is actually running with systemctl. Below you’ll find the exact command and the expected output which confirms that the daemon is operational. Since this is a fresh Ubuntu server, its firewall service should be already enabled. 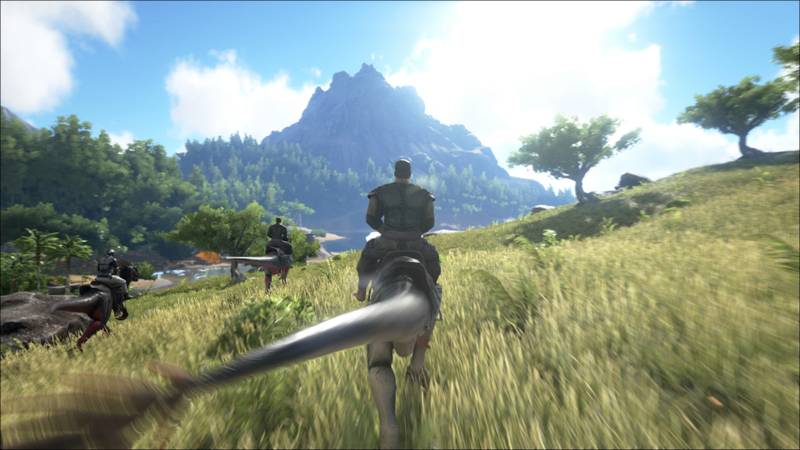 The default settings are suitable but we will be adding a few rules for Ark server traffic. We’ll open up these ports. With that, you should now have a properly installed ARK Survival Server ready to welcome players. Be sure to upgrade your server if you find yourself regularly approaching or exceeding 10 players a game. If you liked this article, please share it with your friends. Galera Cluster is a powerful multi-master synchronous replication library for databases such as MySQL or MariaDB. Using it, you can scale and replicate databases for maximum reliability and minimal risk of data loss. Unlike MySQL’s built in replication features, each node in a Galera Cluser can be read from and written to synchronously, in what’s known as a master-master setup. Failed nodes will automatically be updated by the other nodes on coming back online through what’s called a quorum, in which a plurality of nodes determines what data should be replicated. This guide will lead you though the steps of adding a new server, or node, to a pre-existing Galera Replication Cluster. For the purposes of this guide, our scenario is that we’re adding a node to the actual Galera setup with 2 nodes. This will make a cluster composed of 3 nodes total. First, install the software-properties package on your system. We’ll be using MariaDB for our transactional database. In order to install it, you will need to add the MariaDB 10.1 repository. Update your repos list. Now you can install MariaDB-Server from the new repository. You don’t want MariaDB to start yet, so make sure to stop it on node3 only. Keep it running on the other nodes. Replace with your own IP addresses as necessary. Make sure to add all the IPs into the config file for the new node. You’ll also need to add the IP for the new node in the config files of node1 and node2. Check if node3 is linked to the cluster. Now that you have the basic steps down, you can use them to continue to add nodes to your cluster. It’s recommended to stick with an odd number of nodes as that will prevent conflicts in the case that a plurality cannot be achieved when a node goes down. Ark: Survival Evolved is a popular action game that features survival-themed crafting, combat, and most notably, the ability to tame and ride dinosaurs. This guide will walk you through the steps of setting up this server on Ubuntu 16.04 LTS. • 1 Node (Cloud Server or Dedicated Server) running a clean installation of Ubuntu 16. Finally, enable the PAM limits module. Now your server is prepared to install Ark: Survival Evolved. Success! App '376030' fully installed. With that, you should now have a properly installed ARK Survival Server ready to welcome players. Be sure to upgrade your server if you find yourself regularly approaching or exceeding 10 players a game. If you liked this KB article, please share it with your friends. YetiForce CRM is an open and innovative Customer Relationship Management system that runs on any modern hosting platform. With YetiForce CRM, large and medium-sized businesses can coordinate marketing efforts, sales strategies, projects, and customer support, all via a modern and clean web-based interface. A module system ensures that any custom workflows or modifications can be easily integrated, and a vibrant community is available for support and other professional services. This tutorial will get YetiForce CRM up and running quickly on an Ubuntu 16.04 LTS server. Begin by updating your package cache to prevent download errors. You’ll also need to install the unzip package, which is not part of the Ubuntu 16.04 base installation. YetiForce requires a few additional PHP modules not shipped as part of the standard LAMP stack. Install those here. Next we’ll download the YetiForce CRM zip archive into your document root, and then uncompress it. Apache needs access permissions on the document root so it can modify the installation directory. Here we give Apache the necessary access. As with any LAMP app, YetiForce CRM requires that you create a database and a user that can modify it. In this step, we create the necessary database and access credentials. With the required PHP modules installed, Apache must be restarted so they are available to the embedded interpreter. We’ll also restart MySQL. Visit http://your_ip/yetiforce to continue the process in the online installer. During installation, you’ll be told to adjust your php.ini. Do so as required. You’ll also be prompted for your database name and its access credentials. Fill these in as created earlier. YetiForce CRM is now available for access at http://your_ip/yetiforce. You can now begin entering your business’ information, installing modules, and customizing this installation as necessary to make it your own. If you know anyone who needs a good CRM solution, share this article with them so they can get up and running quickly.